We have teamed up with Travel Insurance Explained, part of the TIF group, to help you understand what a Travel Insurance policy can and cannot cover, explain the jargon in everyday terms and to give you all the information you need to ensure the Adventure Travel Insurance cover you purchase is the most suitable for your needs. An adventure holiday is a fantastic way to experience the world from a different perspective; choosing different experiences, opening yourself up to new cultures, trying new activities and giving yourself new challenges that you’ll never ever forget. From scaling Peru’s mighty Machu Picchu to exploring the deep jungle of the Amazon, the list of adventures waiting to be embraced is as diverse as it is endless. But, what would happen if you experienced altitude sickness whilst hiking the Machu Picchu trail, would you be covered. Watch the video below to find out. 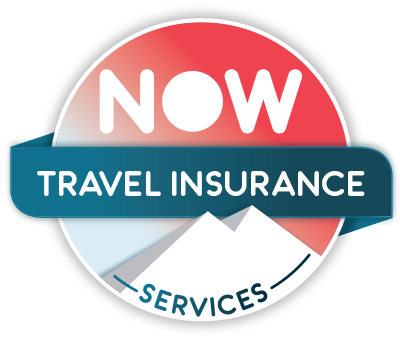 Once you have chosen the policy Adventure Travel Insurance policy that suites your individual needs you’ll need to check that the activities you wish to do are covered. Our policies cover over 100 activities as standard offering the option to pay an additional premium to cover those more adventurous activities. You can check the list of activities in our Policy Wording or on the third stage of our online quote process where you will get the option to include additional packs to your Travel Insurance. The item at the top of your Adventure Holiday list will always be Budget. Some Adventure activities and excursions can be expensive, so if you’re looking to participate in numerous activities on your adventure setting a budget will help you decide on those ‘must do’ activities. Ensure the destination and time of year are suitable for your needs. This might sound pretty basic but you’d be surprised how many people go abroad not realising the Activities they yearn to do are not on offer or it is out of season. Before you go you may want to consider your fitness levels. Activities such as trekking, climbing at altitude, cycling and white-water rafting all require high levels of physical strength and stamina. It may be worth while hitting the gym or doing some training beforehand. Adventure holidays, by their very nature, hold an element of risk, but this is particularly true if you intend to participate in certain activities or sports while you are away. Activities like skiing need a specific type of travel insurance to ensure that you’re covered, or you could face a pretty hefty bill should you need any medical attention on your trip. Explore our range of affordable policies and get your quote today.